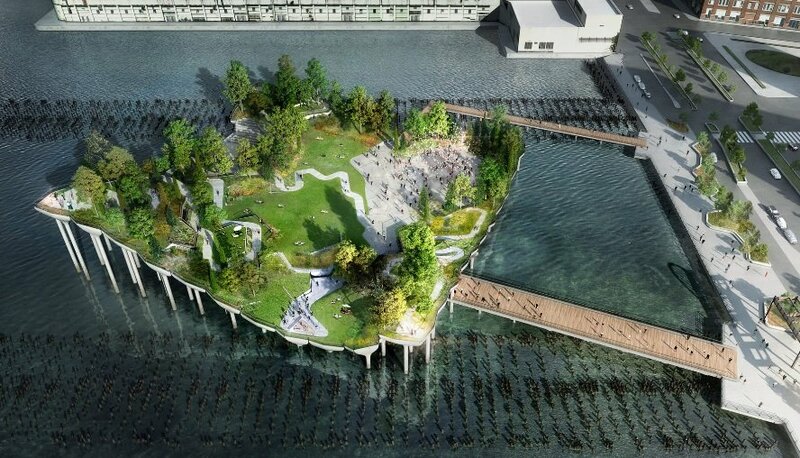 Futuristic floating park may come to the West Side thanks to a $130 million pledge from billionaire media mogul Barry Diller. New rendering for 111 West 57th Street shows what will become the slimmest building in the world. NYC getting pay phones of the future with free WiFi, charging stations and more. Robert Pattinson checks out a $20M Chelsea penthouse with drive-in elevator. The city wants to up the mansion tax to raise funds for affordable housing.